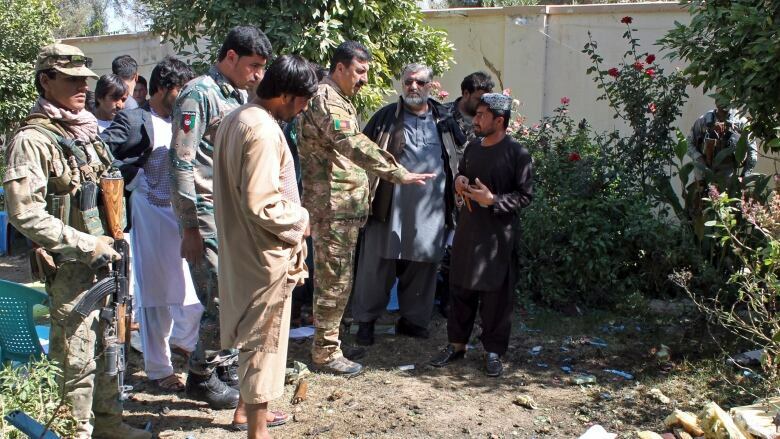 An Afghan lawmaker contesting this week's parliamentary elections was among four people killed on Wednesday by a bomb planted under his office chair, officials said, in an attack claimed by Taliban militants. Qahraman is the 10th candidate killed in the past two months. Two more were abducted and four wounded by Islamist militants. "Such brutal acts of the terrorists and their supporters cannot weaken people's trust in the peaceful and democratic processes," President Ashraf Ghani said in a statement after Qahraman's death. Three men sitting in Qahraman's office were also killed, said Interior Ministry spokesperson Nasrat Rahimi. The blast also wounded seven people, said Omar Zwak, a spokesperson for the provincial governor. "A bomb was placed below Qahraman's chair in his campaign office," Zwak said. "We are investigating." The Afghan Taliban claimed responsibility for the blast in the southern province of Helmand, saying in a statement: "We have killed Qahraman, a renowned Communist." Rahimi said police arrested three suspects in the provincial capital of Lashkar Gah. Qahraman had spearheaded the formation of Sangorian, a secret militia trained by Afghan intelligence to infiltrate the Taliban. The militia has been heavily targeted by the Taliban in recent years. The Taliban, which ruled from 1996 to 2001, has ordered Afghans to boycott the much-delayed polls in their battle to overthrow the Western-backed government and restore their own Islamist regime. Last week, 22 people died in an explosion at an election rally for a woman candidate in the northeastern province of Takhar. Thousands of teachers across the country have been trained to work as polling officers for the election this Saturday. More than 5,000 stations will be set up in schools, mosques and medical centres. But on Wednesday, the Taliban directed teachers not to set up their schools as polling stations. "Teachers and students of educational institutes must stay away from all enemy political processes and must not allow the invaders and their stooges to utilize their schools for the implementation of their evil projects," the Taliban said in a statement. U.S. says it's ready to talk to the Taliban - but is the feeling mutual?